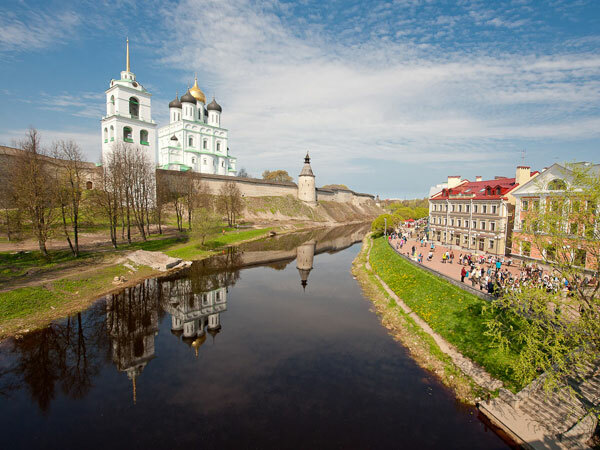 For those who would like to go farther aside from the well-known Moscow-Saint Petersburg route, we offer an interesting tour to two of the most ancient towns situated not far from Saint Petersburg. City tour, Mirozhsky monastery, Pogankin house-museum. 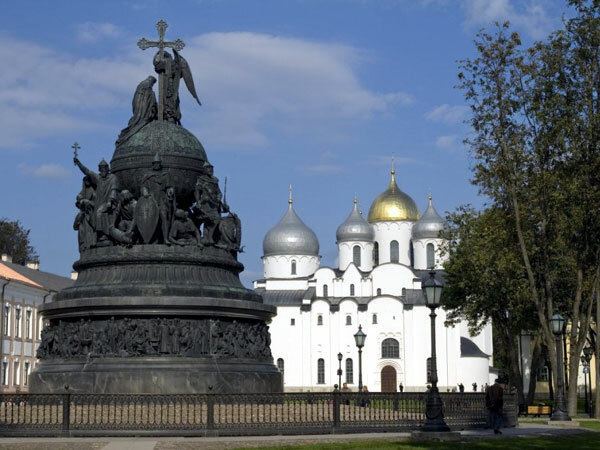 In case of combined trip Moscow-Saint Petersburg, a fine variant is to take an overnight 1st class sleeper from Moscow to Novgorod, then have 2-3 day extension in these two cities with a transfer by car from Pskov to Saint Petersburg. As itineraries are tailor-made, the N of days can be fewer/more according to your wish. 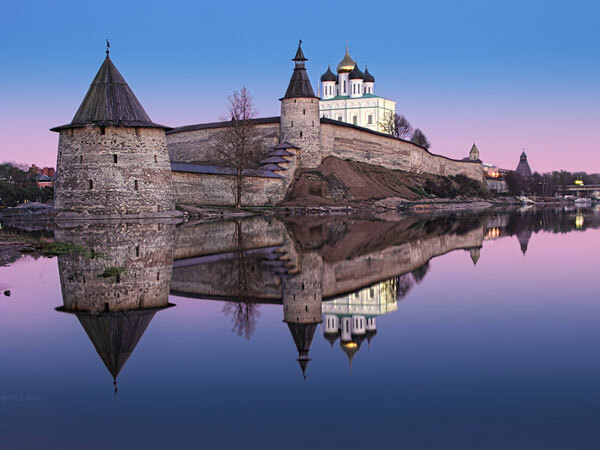 It is also possible to delete Pskov part, having 1.5 day extension with overnight of traditional Moscow-Saint Petersburg tour. 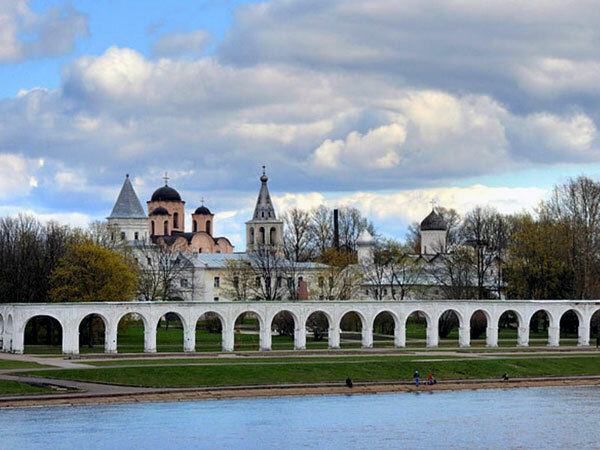 Pskov is one of the oldest towns of Russia, first mentioned in 903. In Middle Ages it was a prosperous city which could be compared to the great Novgorod and ranked among the largest towns of Europe; a German traveller in the 16th century counted 41,000 homes here and compared it to the city of Rome. Gradually it lost its independence and the last princes of Pskov were appointed by rulers of Moscow. As in other old Russian towns one can find here the Kremlin, the oldest part of the town with a beautiful Trinity cathedral originated in 1699. 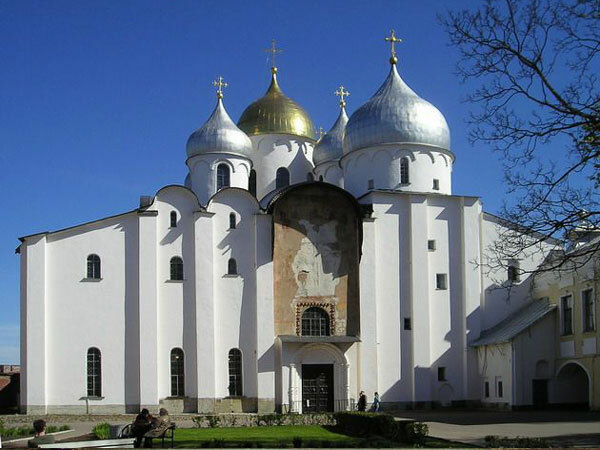 Built on the hill, 72 m high to the top of the cross, the cathedral can be seen at a distance of 35 km from Pskov. 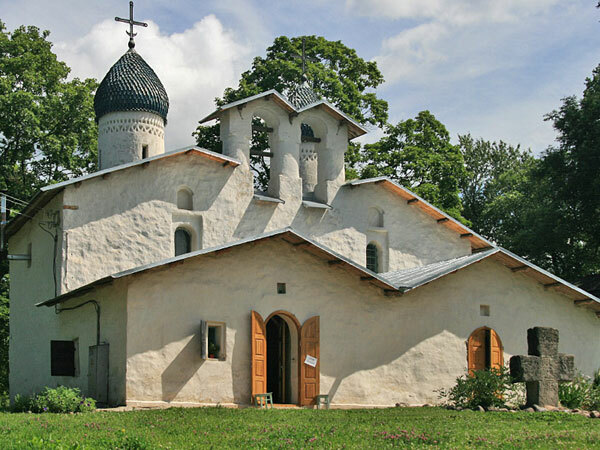 One can't help admiring the visit to Mirozhsky monastery, founded in 1156 by Nifont, archbishop of Novgorod and Pskov. 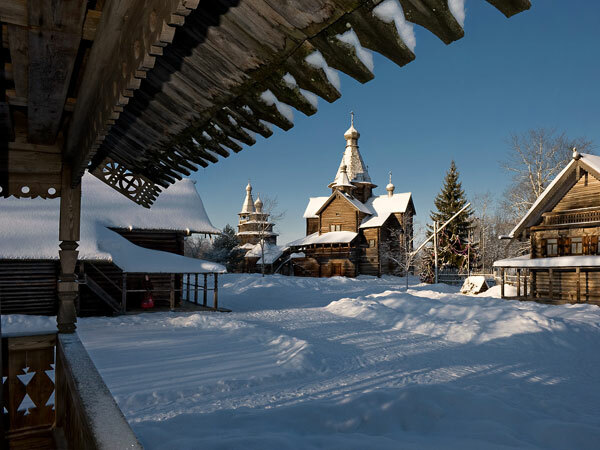 The finest of the buildings to survive is Spaso-Preobrazhensky cathedral (1156), the oldest building in Pskov. 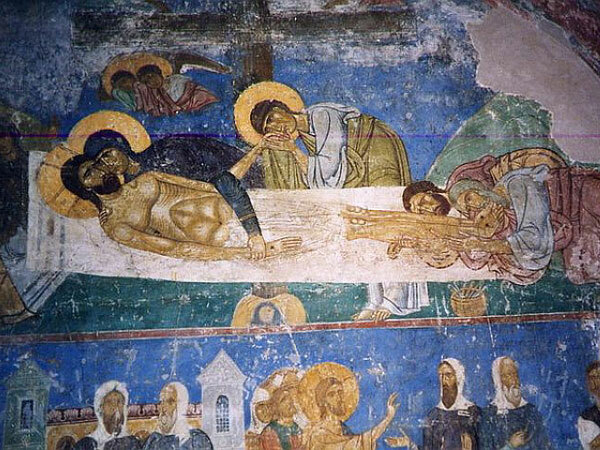 In 1858 the interior, which for hundreds of years was plastered, was accidentally found to be decorated with wonderful 12-th century frescoes. By the end of the 19th century all the plaster was removed, and the frescoes, without equal, recently have been restored. 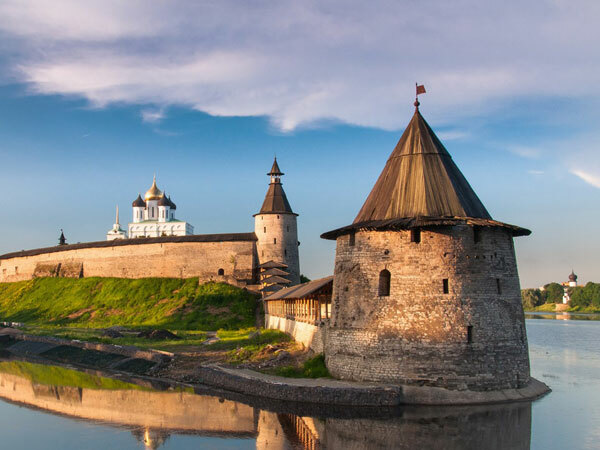 Being of the most picturesque and oldest cities of Russia, Novgorod has the advantage over other Russian towns of having not suffered the full weight of the Mongol-Tatars invasion. That is why the ancient monuments have been perfectly preserved there. The history of the city goes back to the 9th century when the Novgorodians invited Scandinavian prince Rurik to keep law and order, thus giving birth to Rurik dynasty, that ruled over all Russian lands throughout more than 750 years. 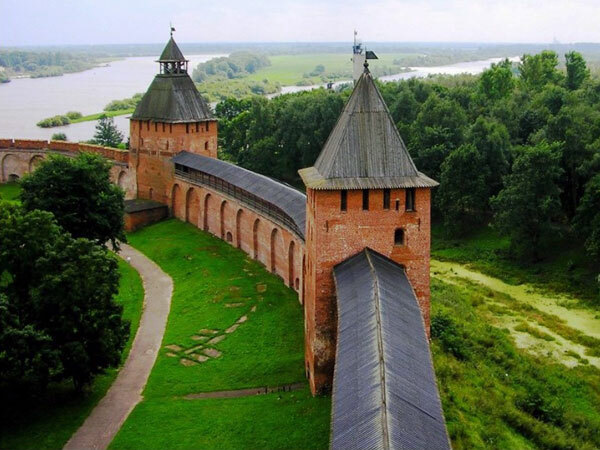 In early 12th century largely on account of its position on trade route between the Baltic and Black Seas, Novgorod became known as "Lord Novgorod the Great". The tour of the city includes a visit to one of the oldest architectural ensembles - the Kremlin. The main sight here is St. Sophia's cathedral, built in early 11th century to imitate the famous St. Sophia in Kiev. The central dome of it is a gigantic copy of the helmet of an ancient warrior, topped by a cross and bronze dove. According to the legend, Novgorod will stand until the dove flies away. The cathedral has got fantastic frescoes of the twelve century and 16th century iconostasis richly ornamented with silver and gold. You will also see the Palace of facets (1433), the Church of Sergey Radonezhsky (1563), 15th century clocktower. The Kremlin possesses Historical museum and Art gallery, which collection is sure to impress everybody. The museum contains over 550 icons, some of them dating 11th century, ancient manuscripts and private letters written on birchbark. Between 1100 and 1150 the city is supposed to have had 230 churches, some of them you can see nowadays. 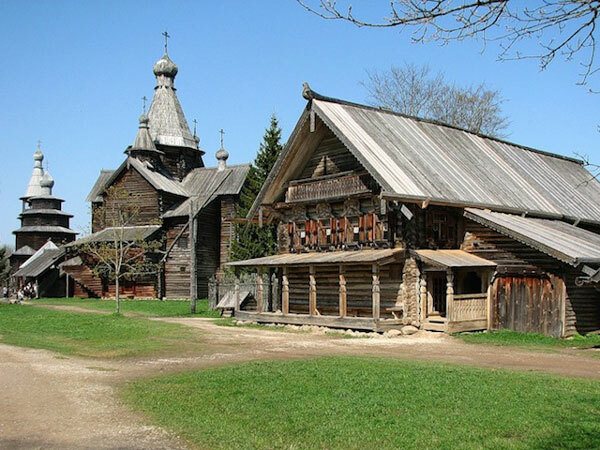 An indispensable part of the trip is a visit to Vitoslavitsy Open-air Museum of Wooden Buildings which occupies 30 hectares and contains churches, houses and peasants' huts of artistic and historical value from all parts of Novgorod region. 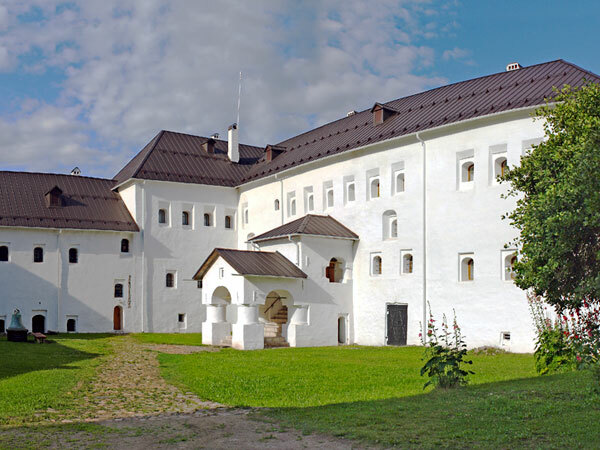 Novgorod, unlike other ancient cities of Russia, has got excellent facilities for staying. "Beresta" hotel (1991) is a modern 4 star hotel, located on the Volkhov river in the historical part of the city. 223 rooms (23 suites). The facilities are: restaurants, pub, swimming pool, tennis courts, conference rooms. In Pskov we would recommend accommodation in 3 star Soviet type hotel "Rizhskaya" in de-luxe rooms.